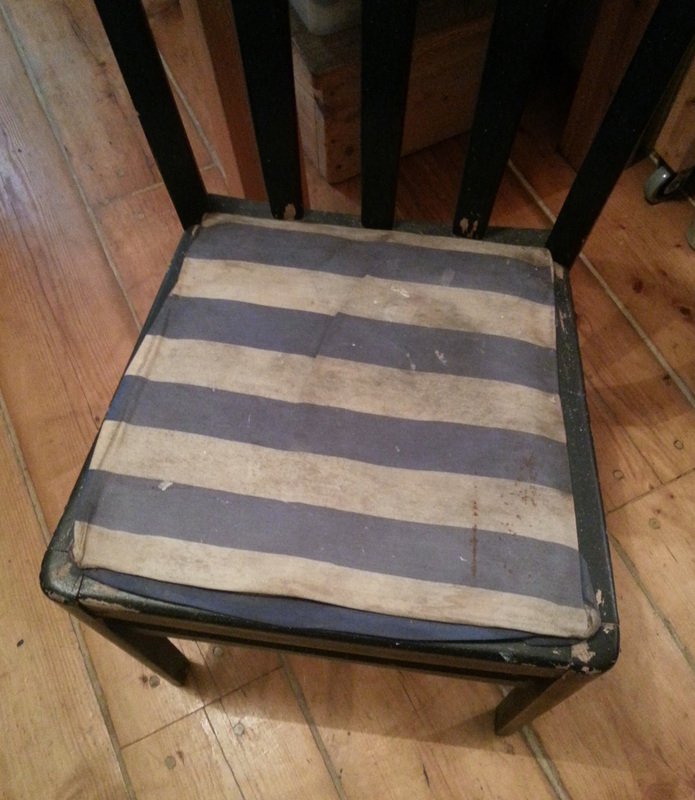 So just before Christmas (on the day of a party of course…) I decided that I wanted to give a new lease of life to a Chair we had in our house which was looking very sorry for itself. 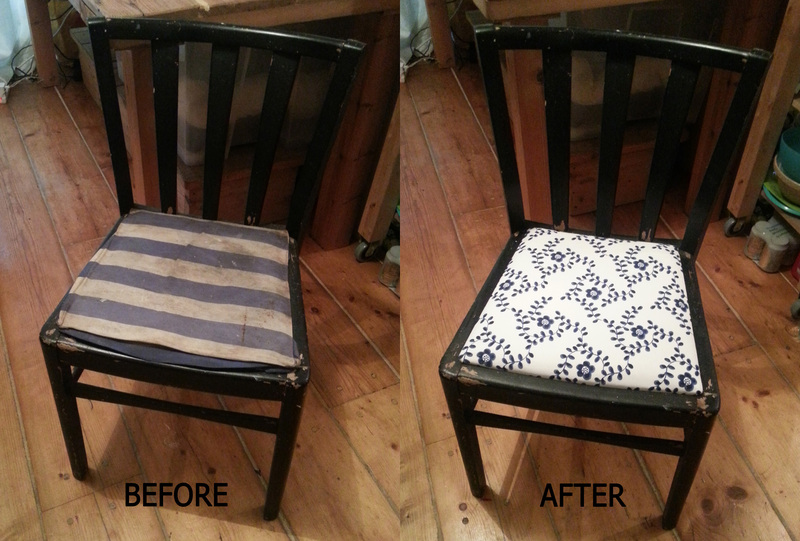 This project was quite quick, definitely under an hour, and it is a quick way to brighten up the chair. Although I discovered that actually it could do with some more padding as well, but that is for another day. So the first thing to do is remove the seat from the chair. Luckily mine just popped out, if yours is fixed in place it might need to have some tacks removed before it can be taken out. The outer cover just fell off the seat when I removed it, which made one job easier. 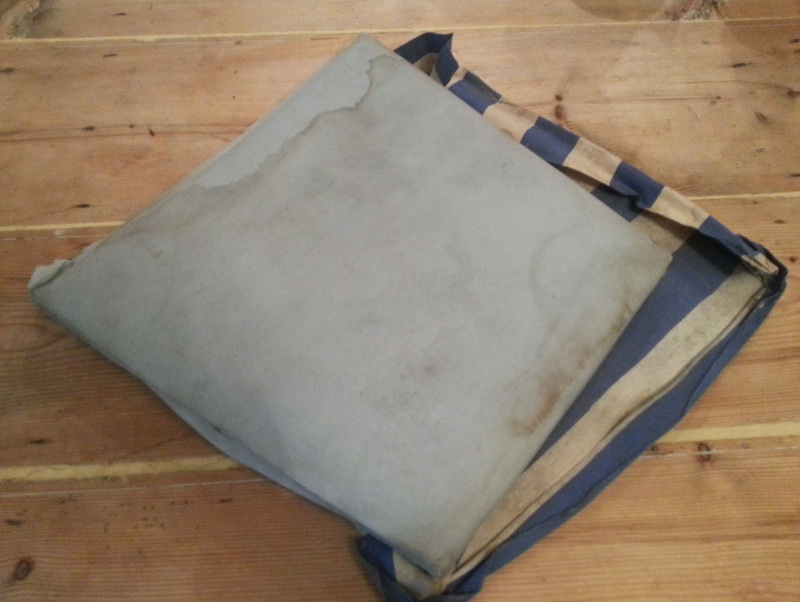 But it left me with possibly an even worse cover to try and remove. The next layer needed to have all of its staples removed, these can be sharp and rusty so be careful and use the pliers where necessary. Once all of the staples are removed, the fabric should come away to leave you with the base layer (in my case it was more fabric, but I wasn’t going to remove any more layers). If you want to you could surface clean the seat cover, but I didn’t think it was going to make much difference to be honest. Then it is time to start recovering…I decided to recover with a lining fabric and then my chosen fabric, but this isn’t necessarily needed. 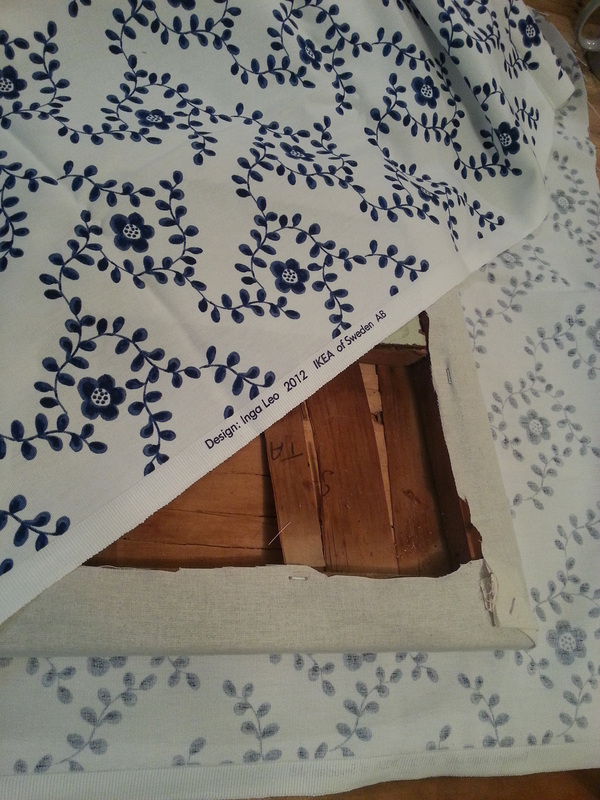 Lay your fabric out and cut a section which is an inch or two large than your cushion in all directions (don’t forget to include the depth of your seat cushion when considering how large your cushion is!) You can cut off any excess later. Then start shaping your fabric around the seat and securing down with a staple gun, if you don’t have a staple gun then small nail tacks will do. If the staples don’t go in very far then I would advise hammering them further in. Once you have done 1 or 2 sides make sure that you are smoothing the fabric round the seat when stapling the remaining sides, this reduces the risk of getting wrinkles in the fabric. Staple all sides down and now you can trim off any excess. 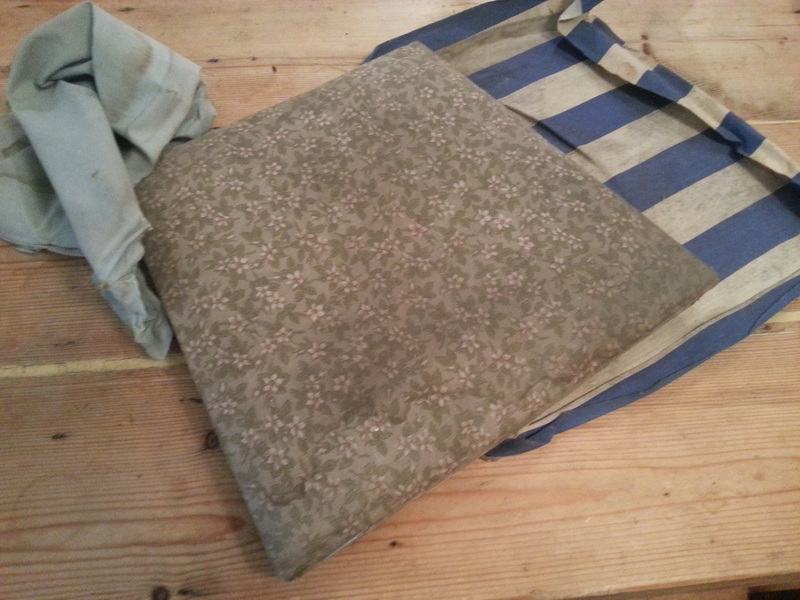 Shape this fabric over the seat cushion as well and secure with staples (or tacks). Take care to try and avoid stapling directly over the staples from the lining layer as this may make the staples difficult to insert. 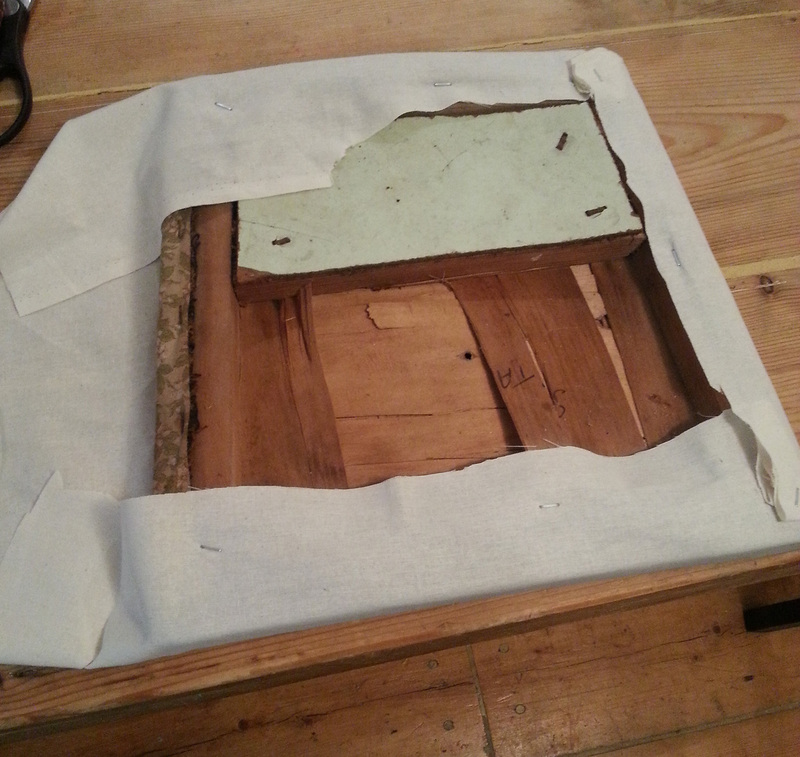 Once smoothed down and secured on all sides, trim off the excess and you should have a nicely covered seat cushion! Then comes the moment of truth to see how nice it looks (and hope that it isn’t too large for the seat…) Slip the seat back into position on the chair (and secure if necessary). Ta Da! 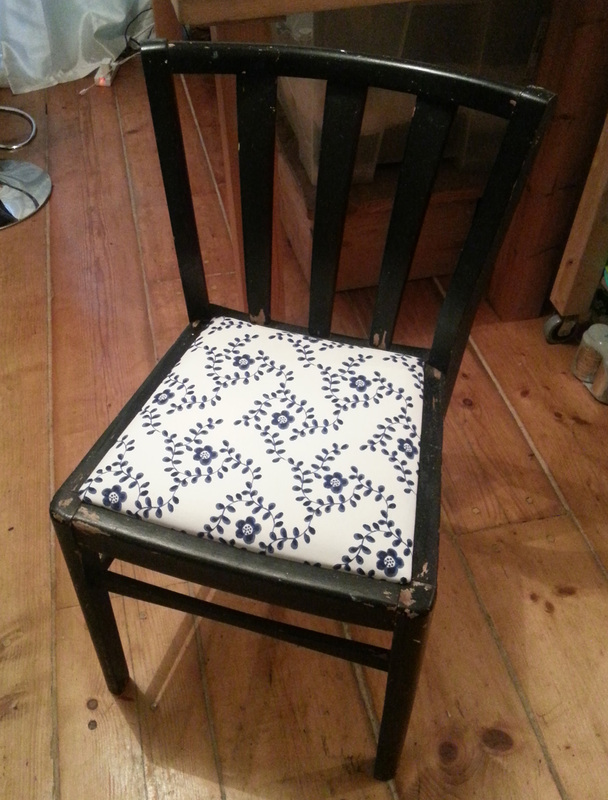 One vastly improved chair! Love a quick project. Looks fab!